Pandora bracelets are nice because the charms are so easy to add, unlike traditional charm bracelets which may require soldering. With a Pandora charm, you just slip it on. There are hundreds (maybe thousands) of different charms and beads you can add to your bracelet. I found a few horse related ones to share with you. The starter bracelet itself ranges in price from $50 for a silver one to a ridiculous $1100 for a 14k gold one. For that amount of money you could buy yourself a horse, sheesh. Silver is classier anyways, so I'd recommend that one. 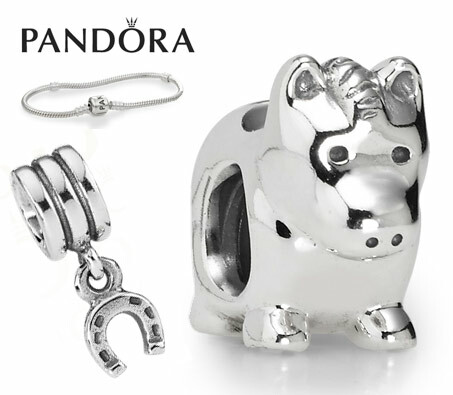 The charms range in price from $25 for the cute little pony, to $65 for the glass beads. There also even pricier beads available. You can find Pandora jewelry online or at a local jewelry store. Finish this sentence: Mirror, mirror on the wall who is the fairest of them...?